All of our personalised anniversary candles can be customised with the anniversary couples names and the date of either their wedding or actual anniversary. 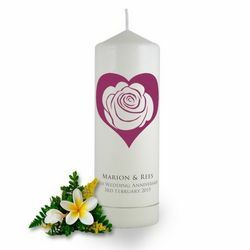 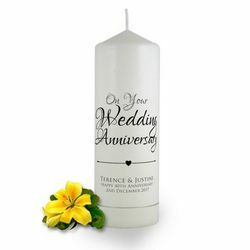 Our collection of anniversary candles can be matched with our range of quality candle holders to make a truly stunning and memorable personalised gift for the wedding anniversary couple. 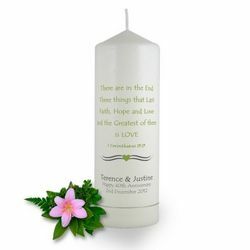 There’s nothing that will give your celebration of love and togetherness more meaning than our amazing anniversary candles that will remind you of how long the journey has been. 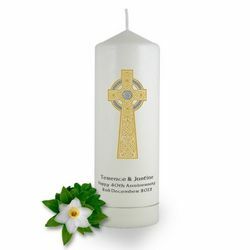 Cherish the amazing memories and plan for a great future with our wondrous choice of anniversary candles that have been especially made for you. 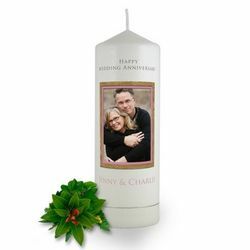 Brinley Williams has a wonderful range of unique personalized anniversary candles for you to give the perfect gifts. 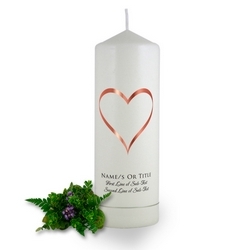 Created by the best of hands, they are engraved with the names of the couples and date of their wedding. 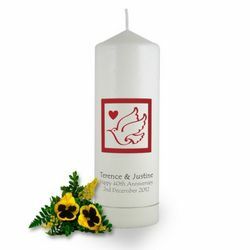 Each anniversary candle is perfectly matched with a candle holder to give it a complete and finished look. 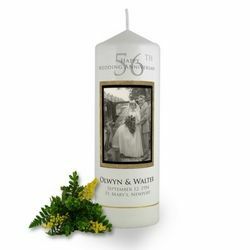 Whether you celebrating your first or your fifth, we know that anniversaries are occasions that you don’t want to forget, but rather make unforgettable. We offer candles that are sentimental but reflect the value of your anniversary but every other one thereafter. It’s something a little different that is sure to become a treasured keepsake. Brinley Williams anniversary candles are all you need to realize the moments you cherish and the joys you should recall. 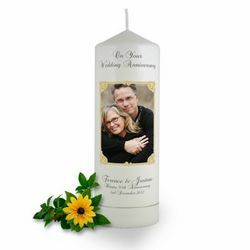 They help to make every anniversary the very best of all, bringing the promise of greater joy in years to come.